pLOT v1.0.9e Minor update. Fixes a graphics bug that on rare occasions caused a circular feature to overextend its length. 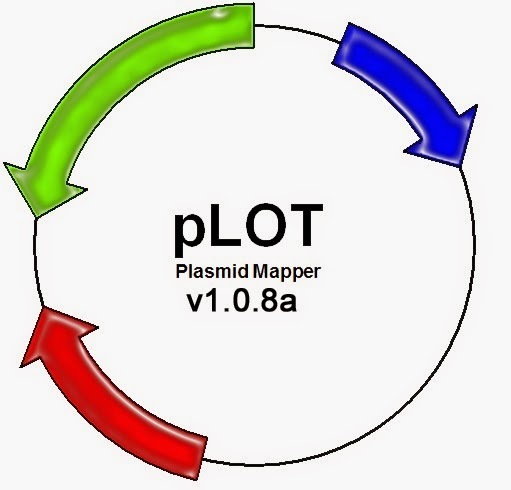 pLOT v1.0.9d Minor update. Fixes a bug that on rare occasions caused a circular feature to not span its complete length. Line and Tick Mark graphics now change their widths appropriately on the map like the Box and Arrow features do either from the annotations window or using Ctrl+Left/Right or Shift+Left/Right. 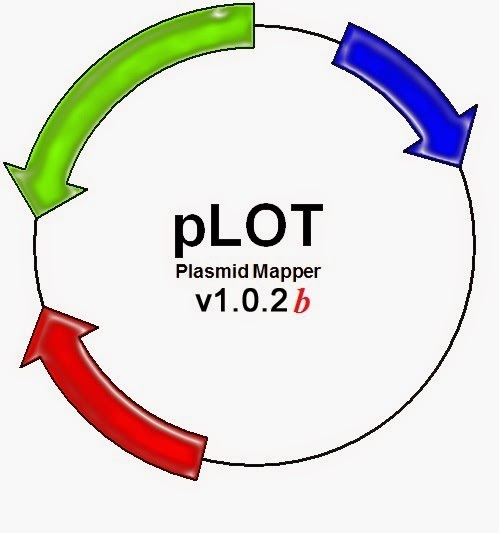 pLOT v1.0.9c Minor update. 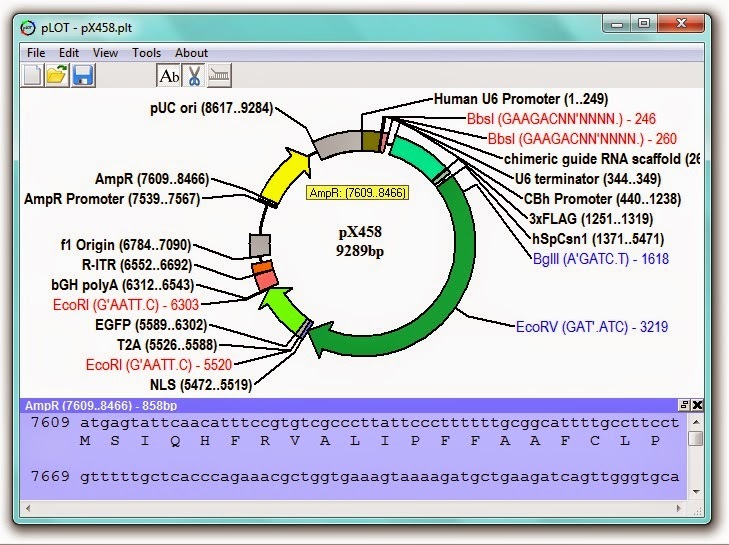 Fixes a bug in the search routines for sequences with gaps that occasionally returned the wrong end value. 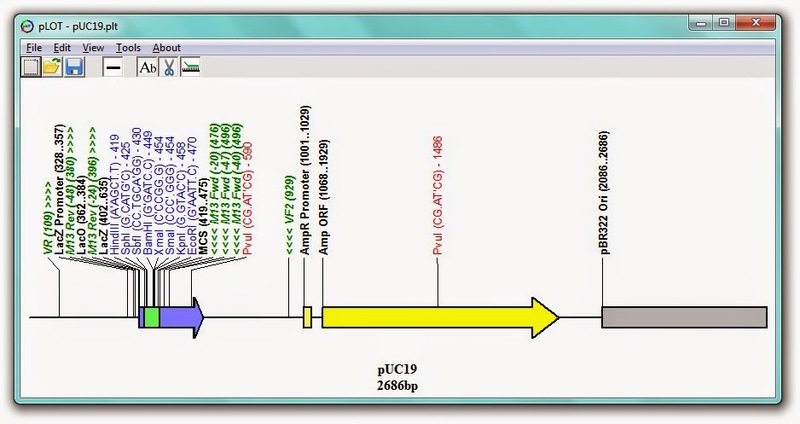 Fixes a crash that sometimes occurred in some amino acid search instances. pLOT 1.0.9b fixes a minor trimming bug that occurs in some cases with the arrows in circular mode. For once, this bug is not on my end but a documented bug in the graphics library used (whew). Also a temporary fix for a crash that could occur when a certain search string combination was used. I've noted that there is a strange bug in returning the locations of the strings as "0" if they start at base 1 of a sequence and contain a gap "-". This will be addressed soon. 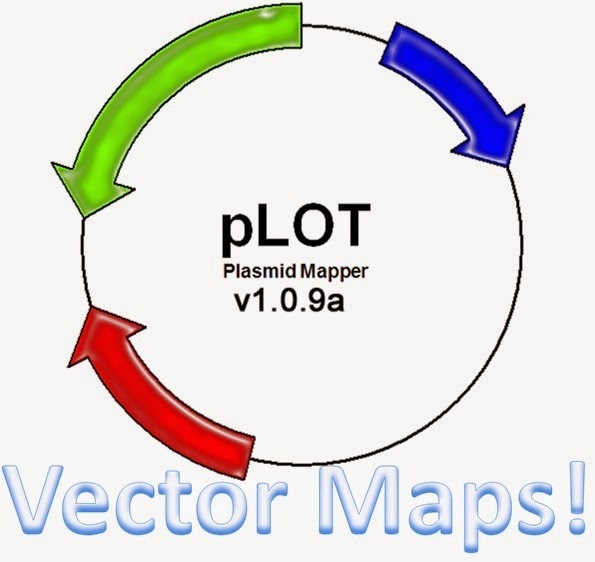 In addition a to few minor fixes, the major addition to pLOT v1.0.9a is the ability to export vector maps to .EPS format in addition to the .BMP format previously available. This is done through the File/Export Map as Image menu. A small bug was found in the code for selecting multi-enzyme mixes that resulted in new mixes not adding correctly (previously saved ones were fine). This bug is fixed and the pLOT.exe can be downloaded here if you've previously installed v1.0.4. The 1.0.4 complete installation file in the previous post has been updated. I apologize for any inconvenience. Version 1.0.4 represents quite a bit of under-the-hood modifications for speed and efficiency as well as the addition of quite a few new features. Version 1.0.4 is due to be released in a few days. This update will consist of a number of minor fixes, speed improvements and new features. Stay tuned!